We are delighted to announce that this year we have three visiting professors. 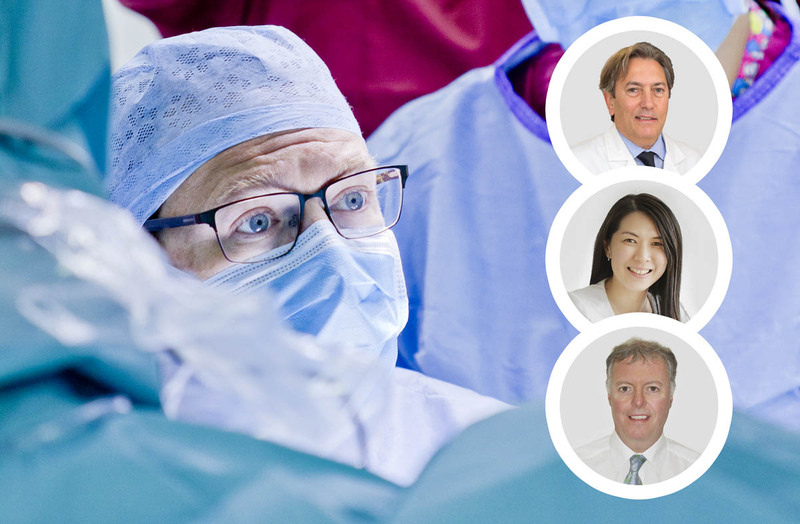 This year, the Sir Alan Parks Visiting Professor is Sebastiano Biondo (Bellvitge University Hospital, Barcelona), the Sir Francis Avery Jones Visiting Professor is Siew Ng (Prince of Wales Hospital, Hong Kong) and the Basil Morson Visiting Professor is Neil Shepherd (Cheltenham General Hospital, United Kingdom). Click here for our first announcement program. There will be our usual breakfast sessions with the experts and lunchtime symposia. Breakfast Session 1: Polyp MDT. Brian Saunders, Siwan Thomas-Gibson, Adam Haycock, Maggie Vance, Danilo Miskovic, Neil Shepherd. Delegates are asked to send in cases one month before. Breakfast Session 2: Complex IBD MDT. Nik Kamperidis, Ailsa Hart, IBD nurse, Siew Ng, Janindra Warusavitarne, Arun Gupta, Uchu Meade, Gabriella Poufou. Breakfast Session 1: Complex Cancer MDT. Anthony Antoniou, Ian Jenkins, David Burling, Claire Taylor, Mani Naghibi, Andy Latchford, Neil Shepherd. Delegates asked to send in cases one month before. Breakfast Session 2: Trouble shooting Feeding the Surgical Patient MDT – lines, tubes, stomas the lot. Suzanne Donnelly and the Intestinal Failure team. Delegates asked to send in cases one month before. Our conference app will be made available as well as a detailed programme.